Support the health and wellness of the prostate gland. 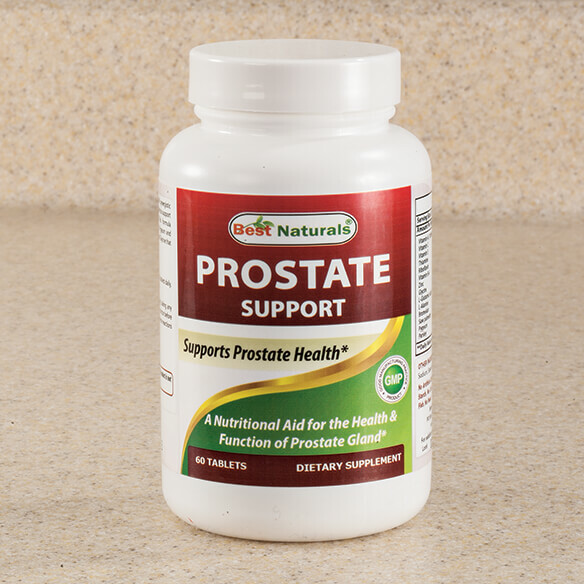 This Prostate Support formula is packed with potent levels of synergistic herbs and nutrients that have been scientifically documented to benefit prostate health. A healthy prostate helps to reduce urinary frequency, increase urinary flow and decrease nocturnia. To use, take 2 tablets daily. As a dietary supplement, take two (2) tablets daily, or as directed by your qualified healthcare professional. Vitamin A (100% as Beta Carotene), Vitamin C, Vitamin E, Thiamine, Riboflavin, Vitamin B-6, Zinc, Glycine, L-Glutamic Acid, L-Alanine, Bromelain, Saw palmetto, Pygeum, Parsley, Dicalcium Phosphate, Cellulose, Croscarmellose Sodium, Stearic Aicd, Silica, Vegetable Stearate, Pharmaceutical Glaze.